I couldn't find an original source for this, but it's pretty much the cutest thing ever so I had to share! If anyone knows where it originally came from, do let me know. This song is super cool! And you can find a free download of this over here. There's a new trailer for the 3DS Kingdom Hearts Game, Dream Drop Distance. Always happy to see Disney making use of The Hunchback of Notre Dame! 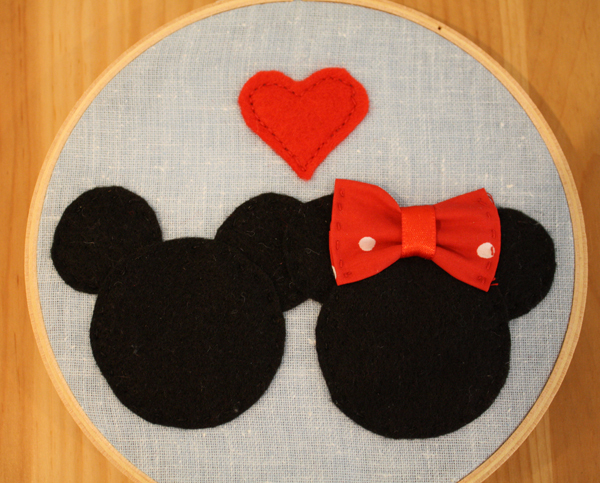 I've already posted about this on the Tumblr, but in case you don't follow that, I recently posted this decorative Minnie & Mickey embroidery hoop on my etsy! This is an actual thing that is happening. 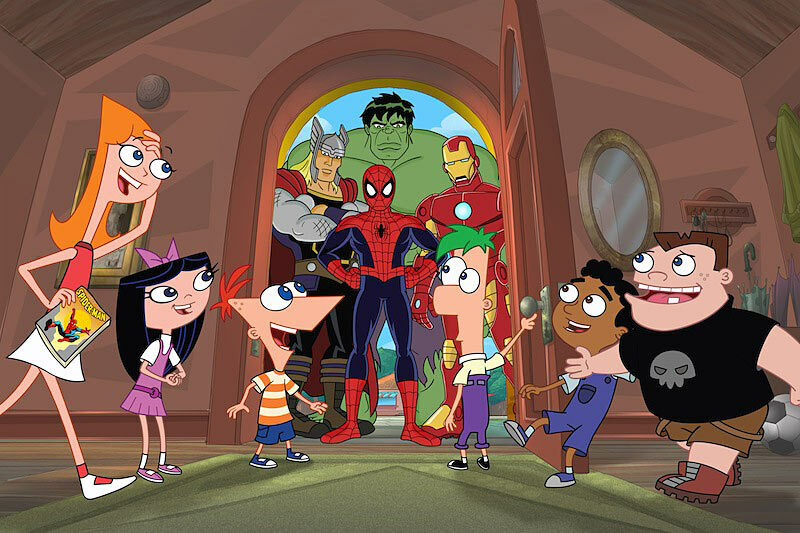 Phineas and Ferb is doing a Marvel crossover special called "Phineas and Ferb: Mission Marvel" and they released a few stills at Comic Con this weekend. So cool. 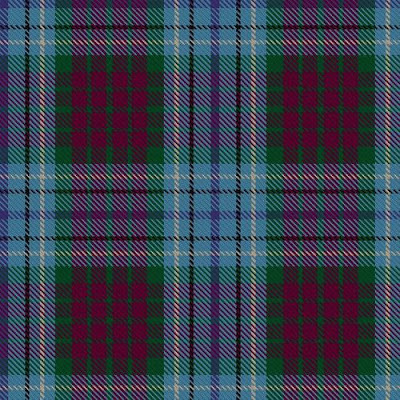 Disney/Pixar actually had the DunBroch family tartan from Brave officially registered! That's it up there, and there's a lovely bit of information about it over here. Oz the Great and Powerful has a trailer! It looks...interesting. 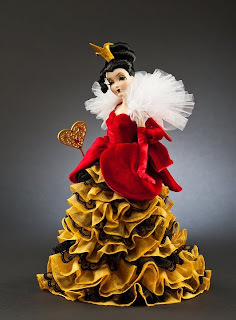 Maybe a little too much like Tim Burton's Alice in Wonderland for my taste. 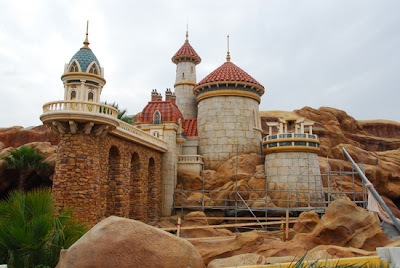 Eric's castle from The Little Mermaid is starting to look like a castle in new Fantasyland! It's so cool to see the different architecture come to life! Source. 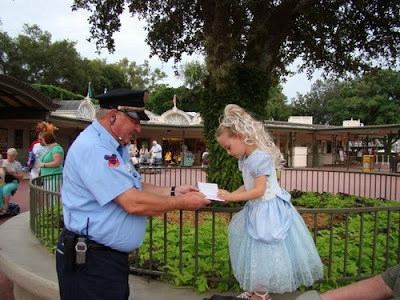 Disney Magic #42: The Ups and Downs of Being Turned into a Llama Against Your Will. 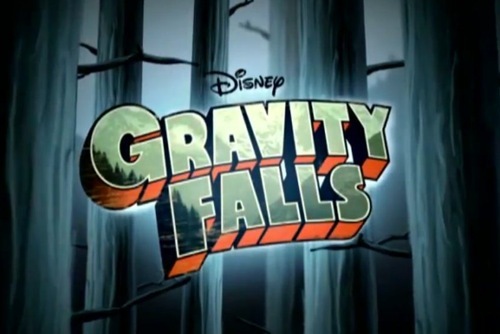 Are you guys watching Gravity Falls? It's a new cartoon on the Disney channel and it's pretty delightful. It reminds me a lot of So Weird and Eerie Indiana, both of which I loved as a kid. It's always cool to see rides under construction! 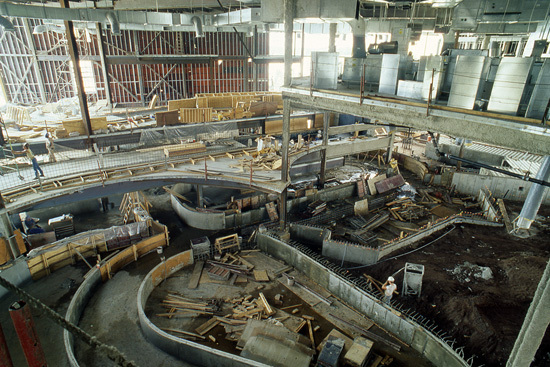 This is actually Maelstrom, which recently had it's 24th birthday. You can read a little more about it's history in becoming the strangest Disney ride I've ever been on here. Disney's released a few more sneak peaks of the Be Our Guest restaurant as part of the Fantasyland expansion, and I'm very happy to see mosaics involved! So pretty. A few more shots here. 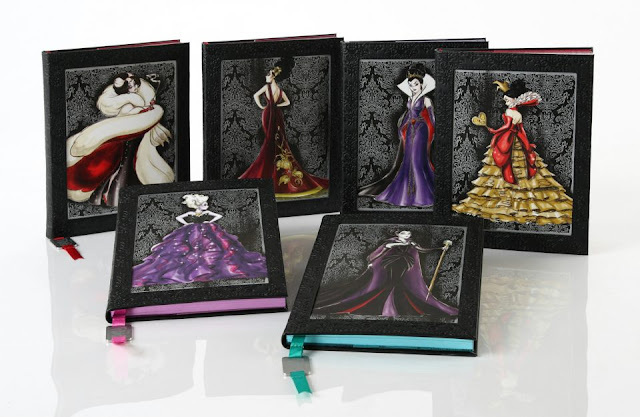 So the new Designer Villian Collection dolls came out a little while ago. You can see the full set here if you like. They're lovely dolls, the set is designed by the same people who did the Princess set. But the thing that caught my eye right away was not the beautiful dresses, the great face sculpts, or even Mother Gothel's Bride of Frankenstein hair, but how skinny these two were. 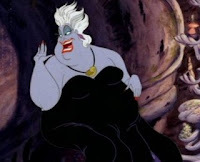 Now, Disney has never been the best at portraying women of different body types. All of their heroines have more or less the same figure depending on age. Occasionally there will be an older woman with a different body type, like Mrs.Potts (as a human, of course) from Beauty and the Beast or Mulan's mother and grandmother, but those are few and far between. However, they've never been particularly shy about giving villains a fuller figure, which is pretty problematic. Heroines have to be thin, young, and stereotypically pretty, but evil women? Sure, they can be fat. No problem! Or funny looking. 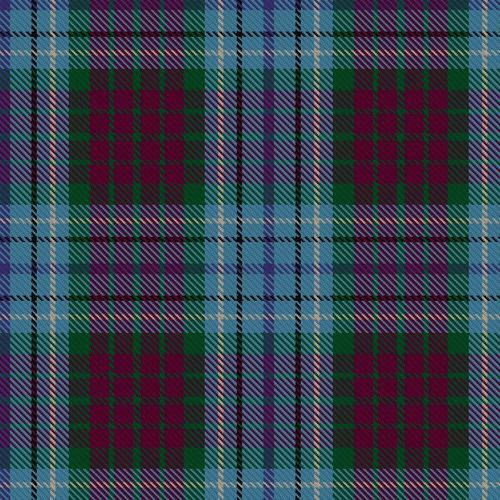 Or green. Or have tentacles. Whatever. But to change their looks for a series of (pretty expensive) dolls? It seems somehow even more insulting. They don't even look like themselves. 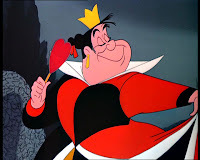 If anything, Ursula looks like her sister from The Little Mermaid 2, and the Queen of Hearts looks like some other woman in a Queen of Hearts costume. It's frustrating when there's so few bigger women in Disney canon, but it's even more aggravating that they think it's acceptable to suddenly slim them down for the sake of a merchandising line. 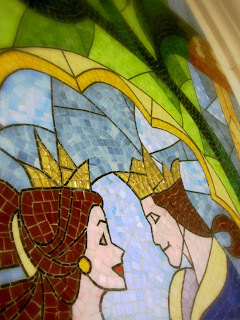 Disney Magic #41: What if Everybody in Tarzan was a Dinosaur? 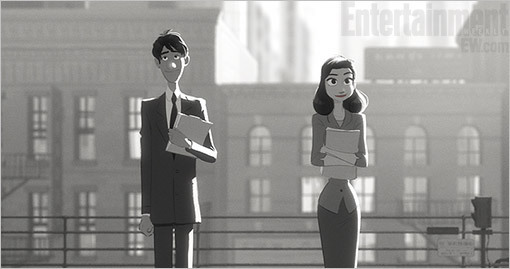 The first Paperman stills are out, the short that's going to be in front of Wreck-it Ralph. It looks really beautiful! The texture of the art especially strikes me as something unique and lovely. There's more here! I'll warn you in advance, this will probably make you cry. The Disney Designer Villains promo images came out this week, these are the journals with the designs on them but of course there are dolls and other merch as well. Images here! 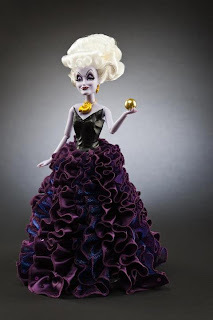 The designs are lovely but I must say I really don't like Ursula's dramatic change of body type. Also, I would have liked guys! Male villains can be fashionable too! Speaking of redesigns, the princesses recently got a bit of a new look! Lots of hair, mostly. I'm pretty happy with the redesign personally, it's always nice to see something different than the same 3 pieces of clip art for each princess haha. It's also really nice to see Ariel in green! Although that's been changed for some of the merchandise of seen. Not keen on that weird random sticking out strand of hair on Jasmine though. It's just weird.